We catch up with the Brooklyn Brewery honcho in time for the release of his pivotal reference book, The Oxford Companion to Beer. Brooklyn Brewery's Garrett Oliver is having a big year. In addition to overseeing a massive expansion of his flagship brewery in Williamsburg, the suds aficionado is now launching The Oxford Companion to Beer, an unprecedented compendium that encompasses global hops history, new-wave brewing techniques and anything else you could possibly want to know about the world's most popular alcoholic beverage. We chat with him about the book, the evolution of craft beer and why he'd like to be the Robert Johnson of brewing. Looking through The Oxford Companion to Beer, the sheer vastness of it is astounding—you can flip to any one of the 960 pages and find detailed entries on everything from cask ale to pub games and home-brewing in Argentina. When Oxford [University Press] first came to me with the idea, at the end of 2006, frankly, I went sprinting as quickly as possible in the other direction. I've seen the Oxford wine guide—it's just this ginormous thing that you can't even get your head around. But then friends of mine started to talk to me and were like, "Well, eventually this will end up being done. You might be of the opinion that it wasn't done as well as it ought to be, and then you'll be sorry you hadn't taken the opportunity." The Brewmaster's Table, which you published in 2003, is often heralded as the first comprehensive guide to beer-and-food pairings. This book also feels like a foundational text. Do you feel the weight of suds history on your back? People say history is written by the victors. And for a long time, mass-market brewers were the victors, since they were the ones writing the technical journals [which didn't account for the use of less mainstream ingredients and techniques]. Then, we had people like the great beer writer Michael Jackson, who wrote seminal books [Ultimate Beer, The Great Beers of Belgium] that told us about the rest of the world of beer. I think a book like this is the next evolution. What I discovered is that there is a lot of stuff that is [as yet unknown] because craft beer is only maybe 25 years old, and we have not yet written our history. We've been too busy doing the things we do to actually transmit them to the general public. What are some things you were codifying for the first time? Barrel-aging, for example. We have a barrel room at Brooklyn Brewery, but no one has really written about how people do it. Do they store [the barrels] hot, warm or cold? What kind of wood do people use? All things that a person who's interested in the topic might ask. Or take a subject like dry-hopping, which is a technique where you use extra hops after fermentation to add flavor and aroma. It's used to make almost every IPA in the United States. If you go online, you'll see a lot of stuff on dry-hopping for amateur brewers. But there's almost nothing about how a professional craft brewery goes about doing it. Now, if you're a beer enthusiast and you're reading a label that says "Glacier hops," you'll find everything you could possibly want to know about it [in the book]: where it grows, who breeds it, how it's used. If you have wondered about [a beer topic], there is probably something interesting about it in here. It seems like American craft brewers have thrown all the rules out the window, especially when you go into a bar and see all these crazy styles like black IPAs and American wild ales. Is it important to have names and guidelines for all of these beers? I wrote a piece in the book about beer styles in which I basically try to [compare] an India Pale Ale with a hollandaise sauce. Two hundred years from the time of [the creation of] hollandaise sauce, somebody can say to a [cook] in the kitchen, "I need to make some hollandaise sauce," and they know what to do. There may be some tiny differences, but it is a word that has actual meaning [because it's been ingrained in a shared language]. That's what makes the French way of doing things in the kitchen so amazingly powerful—the words always mean the same thing. What we're doing here is laying that foundation [for beer]. People will call you a beer Nazi [when you set up strict parameters for beer styles]. But I don't think a nomenclature is something that shuts you down or ruins your creativity. Craft brewers, including us, are always working on all sorts of stuff [that pushes boundaries], and I think that's wonderful." There are more than 1,100 entries in the book, written by 166 authors from 24 countries. Surely there were some things you didn't already know. Any major brew revelations? We're used to looking at the olden days as a time when things were better and the beer was pure, but that wasn't really true in a lot of cases. I went digging into original documents where a guy in the early 1800s is basically saying, "The effect of porter on the person drinking it is largely a product of the drugs that we put into it." They were just pumping this stuff full of all kinds of drugs! I've written about porter in the past as this thing that was between a brown ale and stout. But it [also] has this history that's pretty shocking. Even in the mass market, what we're doing these days is actually super pure. 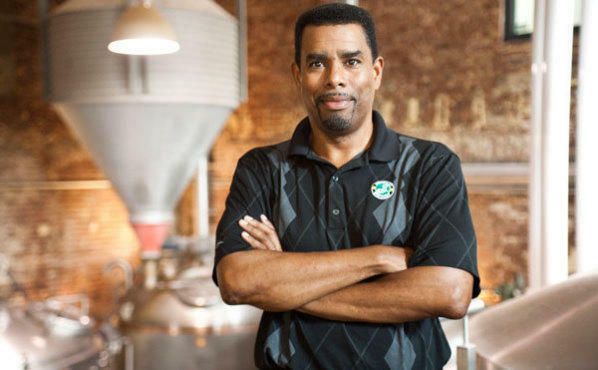 Brooklyn Brewery opened in 1987 and is really one of the trailblazers of the craft-beer movement. How have you seen the perception of beer shift from the days when there wasn't much available beyond Bud and Coors? It's exciting to see [how much beer has evolved]. Craft brewing has been around for about 20 years and it's [quietly] crossed a line. It's like when salsa surpassed ketchup in the '90s as the [most popular] American condiment. You look up one day and say, "Oh yeah." You can't really open a bar [in New York City] that has all mass-market beer, and even bodegas have 200 beers. Having worked so hard over the years to create that shelf space for craft beer, both locally and abroad, does it bother you when you hear people say, "Brooklyn Brewery is too mainstream"? Oh yeah, it does. People come to us and say, "Well, you're an industrial brewery now." And we're like, "You have no idea!" We have rooms full of barrels, [we're] making beer with Red Hook Winery and aging it on wine lees [the residual yeast left over from winemaking]...we're doing experiments that you wouldn't believe. I think [those people] are surprised when they hear that Sam Adams is 20 or 25 times our size. A little brewery like Barrier on Long Island will look at us as the big guys, and then we turn around and look at Sam Adams and say, "No, no, no, those are the big guys." And Sam Adams turns around and looks at Anheuser-Busch, which is 200 times their size, and says, "Those are the big guys." Brooklyn Brewery is like a speck in the scope of American and world beer. What we have done—and this is very much a New York thing, even a Brooklyn thing—is create an outsize cultural presence. It seems like brewers and musicians share a common struggle to remain relevant to early adopters. If Brooklyn Brewery were an artist, who would it be? I personally want [us] to travel a blues arc. You see a guy like Robert Johnson, who was making amazing music when he [started], and granted, he didn't live to be old, but he was making really amazing music [until he died]—the music didn't get worse, it got better, deeper, more interesting. I intend to be around for a long time and when I'm 70, I intend to be making beers that are more interesting than the beers I am making now. The idea that a chef or a musician should have an early peak is both sad and untrue. In addition to writing and editing the Companion, you've also been pretty busy with a $6 million expansion of your Williamsburg brewing facilities. Do you sleep? I still walk in and I'm like, Wow—it's almost like a little city to me compared with what we had. These things were coming down the pipe at the same time—finishing the book and the completion of the first phase of this build-out. I compare it to one of those classic asteroid movies, where you know an asteroid is going to hit Earth in eight months and three days and 15 hours, and there's still nothing you can do about it. Does maintaining a strong foothold in Williamsburg help you keep your hometown fans engaged? We have to get better at actually telling people who we are and what we're doing. We do a bunch of beers called "ghost bottles" that are not available to the general public—there are maybe only 50 or 60 cases of each one. And rather than saying, "I want you to stand in line and pay $75 a bottle for this thing that I made," we do the opposite. We say, "You can't buy it. But we'll pour it for you for free if you show up and [join the] conversation." What else do you intend to do with the new space? I want to do cooking classes. We do it mostly for our distributors now, and we're not just frying some sausages—we're doing boneless quail stuffed with fois gras in a duck demi-glace, and we're making it all from scratch in front of a crowd. I want to do more of that. We're going to build kitchens here so that we can show people a different side of beer. The Oxford Companion to Beer is available now via Amazon.com; $65.